Established 1990 in Brookline, Rami's is a staple for authentic Middle Eastern-Israeli cuisine in the Boston area. 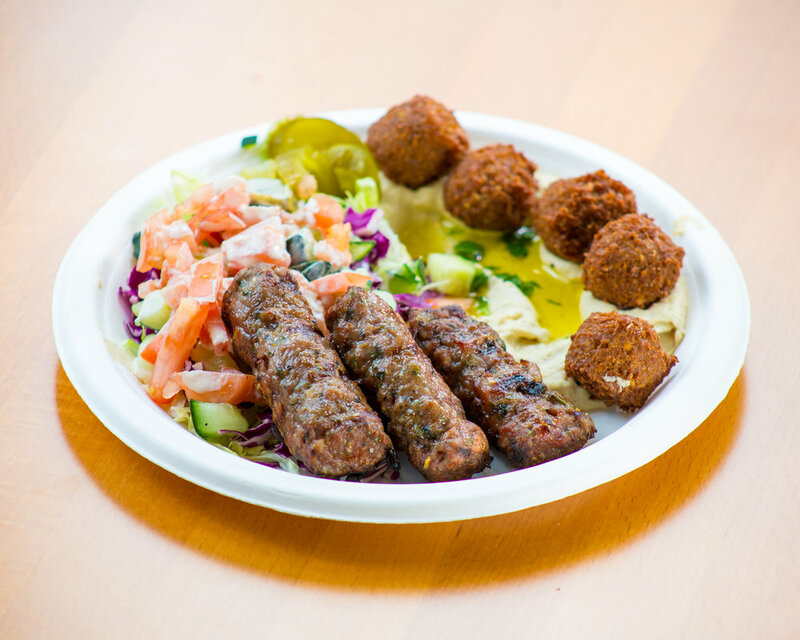 Rami's menu is Kosher and includes delicious foods such as falafel (perfectly sized golden crispy chickpea balls), shawarma (meat grilled on a spit and carved thinly), bourekas (puff pastries with various fillings), hummus (mashed garlicky chickpea spread), and more. We pride ourselves in the quality and freshness of our ingredients. In our over 20 years of business we've stayed true to our roots and consistently provide the authentic and delicious flavors that our regulars keep coming back for.time and time again. All pitas come stuffed with your choice of hummus or babaganoush , fresh vegetables, (lettuce, red cabbage, cucumber, tomatos, & Israeli pickles), tahini dressing, and our homemade hot sauce. A delicious blend of chickpeas, tahini and spices made fresh daily. A tangy mix of crushed sesame seeds and eggplant. Called “Baba” for short. A must-eat at Rami's made of ground chickpeas and fresh herbs and spices. Fried golden brown. Rotisserie turkey seasoned to perfection, roasted, and carved thinly. Marinated in Middle Eastern spices and grilled with onions. Ground beef with parsley, herbs, and special spices. A Jerusalem favorite. Made fresh in house, never frozen. All plates are served with a side of our pillowy pita bread. Thin Middle Eastern Spring Roll. Deep fried, mushroom filled triangles. Phyllo dough is layered with butter, cinnamon and nuts and baked, then topped with a honey syrup and allowed to cool before eating. 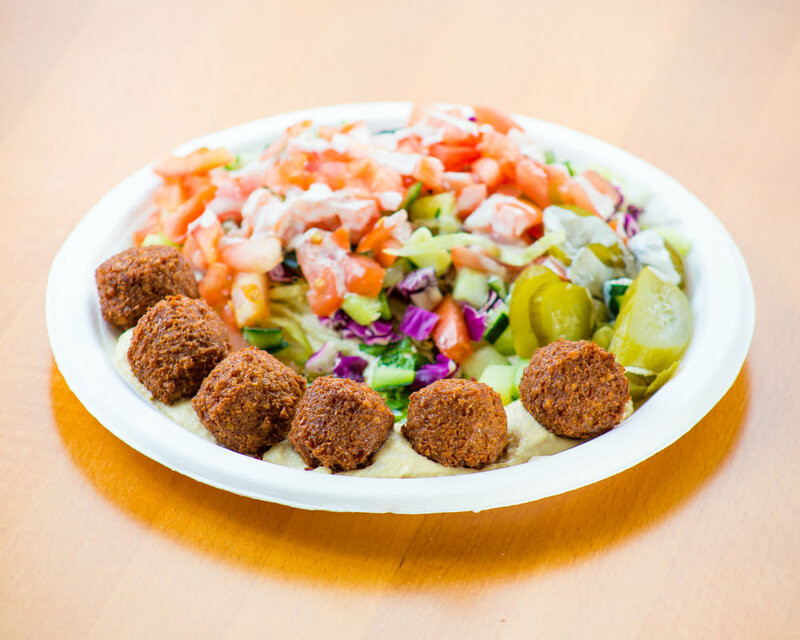 For pick up or delivery, call (617) 738-3577 or 617-FALAFEL to place your order. Order online and pick up in 30 minutes! LET RAMI'S CATER YOUR NEXT EVENT. Download our printable Catering Menu, make your selections, then fill out the Order Form below. We deliver to Allston, Boston, Brighton, Brookline, Cambridge, Charlestown, Chestnut Hill, Jamaica Plain, Newton, Roslindale, South Boston, Waltham, Watertown, and West Roxbury. We do make special exceptions so please call (617) 738-3577 or email catering@ramisboston.com to inquire. To get to us by train, we are walking distance from the Coolidge Corner T station on the Green C Line. You may also call us at (617) 738-3577 or email info@ramisboston.com.